Dubai’s transport authority has announced that one of the city’s largest projects, the Dubai Water Canal, will be completed in November. In a series of tweets, the Roads and Transport Authority (RTA) said final touches to the $545 million project were underway in preparation for its official opening in November. The RTA, represented by the Traffic and Roads Agency, said it “has started applying the final touches to the project of the Dubai Water Canal by cleansing the water, removal of the sedimentation and refilling it from the sea”. In another tweet, it added that work had started to pave the pedestrian pathways in preparation for the official opening”. Construction of the Dubai Water Canal project was split in three contracts – the first comprising the construction of bridges across the Water Canal on the Sheikh Zayed Road consisting of eight lanes in each direction. The second contract included the construction of bridges across the Water Canal on the Jumeirah and Al Wasl Roads spanning three lanes on the Jumeirah Road and two lanes on Al Wasl Road in each direction, in addition to a flyover from Al Wasl Road to Al Hadiqa Road in the direction of the Sheikh Zayed Road. 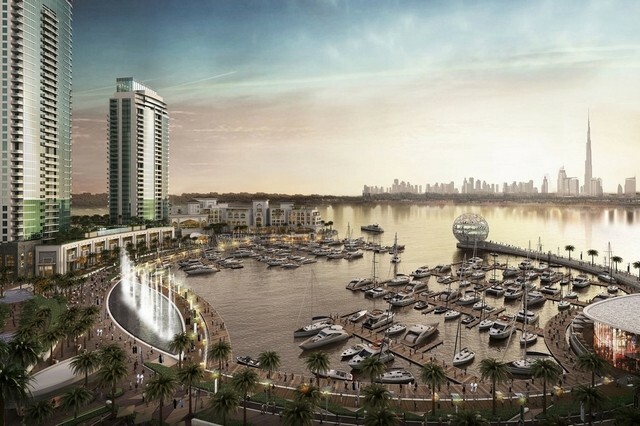 The third contract encompassed the drilling of a 3.2km-long canal, landfilling works of the island, constructing a sea wall around the island to prepare the sand beach, building a marina for boats and the water bus, and constructing three pedestrian bridges above the canal to link the Jumeirah Beach Walk with Safa Park Walk. Once completed, it will be six metres deep and will be crossed by eight-metre high bridges. Surrounding the Canal are new public places and facilities. There will also be a shopping centre, four hotels, 450 restaurants, luxury housing, walkways and cycle paths. Modern water transport means will serve the water front, resulting in improved quality of water in the Dubai Creek.